Conan the Barbarian #97 - I recognised this cover without being able to recall exactly where it fell within the CtB chronology, but looking at the gallery, this was getting into what I think of as the declining years of the Thomas/Buscema/Chan era. Daredevil #158 - this must have been one of the first Frank Miller DDs, or maybe even the very first. Fond memories. Master of Kung Fu #75 - This was the Zeck/Patterson era of MoKF, a welcome period of stability after a couple years of often very good but, still, inconsistent artwork from an ever changing roster of artists. Moench's writing was solid all thorugh his rune, though. Tomb of Dracula #69 - you knew something major was happening here; too bad it turned out to be the end of the whole series. I wasn't able to buy Micronauts until issue #5. Then, I missed a few issues. Very happy when the Baxter reprints came out, in 83/84. This was the continuation of what was for me a magical year in comics. Looking over at the covers at Mike's Newsstand, I see that I had over dozen titles that month at least. Micronauts #4 was my first issue of that series as well, and I was immediately hooked. Some other highlights were X-men #122 (part 2 of first appearance of Alpha Flight, with a big smash-'em-up between the teams), Avengers #183 (part 1 of the big smash-'em-up with Absorbing Man) and Peter Parker, Spectacular Spider-man #30 (continuation of the Carrion story). Another thing that fascinates me about this period - the late '70s into the early '80s - is the number of Richie Rich titles on sale each month. There were 12 in February 1979, and in some months there were as many as 15. Basically, almost every book Harvey published featured Richie Rich (only Devil Kids and Sad Sack didn't). By way of comparison, in that same month the entire Archie line consisted of 12 books, and only 8 had the name Archie in the title - and one of those was "Archie's Girls Betty & Veronica," i.e., he wasn't the headliner. I've always been mystified by Richie's apparent popularity, but then again, even when I was very little I didn't really go for any of the Harvey line. Some day. Some day I'll get to post in this thread. I'd forgotten about it but I had bought What If #14 if it's the Sgt. Fury in space issue. I had been following Star-blazers/Yamato and it reminded me a little of that. That is the second Marvel I ever bought myself (as opposed to something from trading with other kids, after that Jetsons one. I was buying Sad Sack and Dennis The Menace still at this point, also Cracked, Mad and Crazy, but I really only got hooked on anything as a regular reader with Star Wars #24 and Battlestar Galactica #4 which are both right around the corner around March-April 1979! I'll save some comments for then. Don't be in a hurry. I'm about a year away from being able to occasionally post in the 50 Years Ago thread. All I will have, though, is Super Goof, Uncle Scrooge, and the Three Mousketeers. Black Panther #15: the Panther was always a favourite character and I read pretty much anything I came across that he appeared in. All I remember about this particular run is some nice artwork by Jerry Bingham and Gene Day. With continuing characters you have the writing, the artwork, and the character. 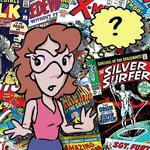 If 2 out of those 3 are to your liking, you're probably going to enjoy the comic. Here I had the character and the artwork, so the writing would have to have been pretty bad for me to dislike the comic as a whole. From memory, it wasn't great: more or less generic 70s Marvel superhero stuff - which was fine with me. Captain Marvel #62: due to distribution woes I had missed most of the Englehart run, but for whatever reason the Moench + Broderick issues were on our local stands every time. I liked the look of Broderick's artwork and I thought Moench did a good job with the character, even though it doesn't stand comparison to Starlin's classic run on the book. Conan the Barbarian #98: don't recall much about this issue but I thought the Thomas/Buscema/Chan creative team was starting to lose a bit of steam around this time. Still pretty solid, but not up to the high standard they had set and been maintaining for several years. Fantastic Four #206: I liked Pollard's artwork better when he inked himself. Sinnott's inks tended to make it a little bland, to my eyes. Can't recall much about the stories but Moench was always dependable, though I don't recall his FF as a highlight of his career. Marvel Preview #17: Gil Kane's Blackmark. I liked the Kane artwork and the story-premise, but the writing wasn't outstanding, as I recall. Marvel Team-Up #81: I usually read MTU only if I liked the particular artist or guest-starring character that happened to appear in any given issue, so i probably bought this because of Satanna - I was interested in most of Marvel's supernatural characters and you didn't get that many opportunities to see them , the horror craze having died down by the late 70s. Master of Kung Fu #76: great, classic MoKF issue, one of the best of the entire series. Also the first issue of Gene Day's run as inker, then penciller, bringing the series back to something approaching the heights of the Gulacy era. Great comic. Thor #283: beginning of the Celestials saga, probably the best Thor epic since the Kirby+Lee era, though I think it ended up having a deleterious effect on the whole Eternals/Celestials/Deviants scenario that Kirby had developed as an independent concept, and perhaps even on the whole Thor/Asgard set-up as well. For those reasons, I think it's better seen as a kind of "What If ... " story. Moench? 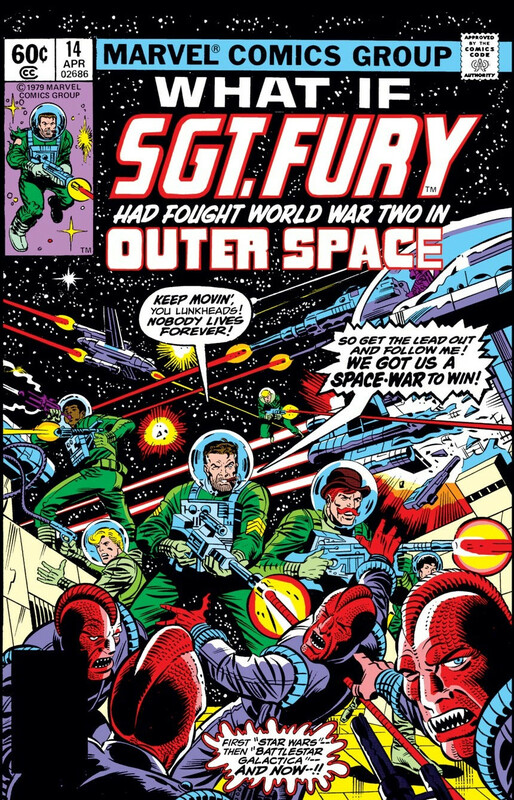 Marv Wolfman was still writing FF at this point, and this was near the beginning of a big space opera arc that would only conclude almost 10 issues later. I really liked this story back then, and still do - I even have the HC that collects it, In Search of Galactus. Moench only started writing FF with #219 (although Byrne wrote and drew #s 220-221). Even though the art by Sienkiewicz (before he fully transitioned to his ink-splat phase) was quite nice, I didn't think much of the stories and dropped the title after #223, and then came back when Byrne took over. The only two books I got off the stands at the time were Avengers #183 and Invaders #40. February 1979. Many series I was collecting were nearing their end (Zilla, Warlord of Mars, Nova) and yet plenty of new groovyness was replaced with Micronauts and Star Wars. I was heavy into Marvel at the time as they were just that much better than DC. The few DC I collected were really wonderful and I was beginning to explore DC war comics, horror and such as I could find them but usually missing many issues in between. Sadly there were limits and lots of inconsistencies in the distribution war between Marvel and DC fighting over issue space. Marvel was selling big but for the most part only Batman and Superman were monthly regulars on the stand from DCThere were occasional Charlton or Dell/Gold Keys around here and there but the only regular on the stand was Archie comics which I would pick up sparingly if there was nothing else. Yes, I must have had Moench on the brain from writing about his Captain Marvel run. I liked some of the Wolfman FF, though the artwork often felt a bit drab to me and the big Galactus vs Sphinx showdown was a bit of a let-down (as was Galactus vs High Evolutionary a few years earlier, but that was Roy Thomas, I see from comics.org). Looking again at comics.org, I did read some of the Moench FF but remember very little about it. I'm sure Archie Goodwin did a good job with the actual writing of the script. I should have said that I don't recall finding the story all that compelling, even though I liked the general idea of the premise. This is all from distant memories, of course. I have the Blackmark book so I look forward to reading the whole thing one of these days, and will check out your review then, since after al this time I've forgotten most of the details and would like to preserve that ignorance until I come to it again. 40 years about a week ago I picked up Battlestar Galactica #4. I still have it and it is pretty beat-up but still had the cover. Walt Simonson inked by Klaus Janson was an okay combination except for the tech, I'd have liked a more Gene Day por or Bob Layton type of inker for that looking back, at the time I was a bit disappointed in this comic compared to liking the show quite a bit. It was adapting the first regular tv series episode where Serina and other women train as viper pilots because a lot of the men are sick. Two weeks after that I found Star Wars #24. I still have this one too (and #25 & 26 with regular writer Archie Goodwin). I've re-read them the other day and this one by Mary Jo Duffy holds up well as a single story framed by the familiar main four (counting the wookie) in the millennium falcon about Ob-Wan Kenobi. I disliked Infantino's heads in profile and sometimes the future tech looks poor, inked by Bob Wiacek here, but the story was solid enough that i wanted to get the next issue and I believe I kept buying (including back numbers three in a bag and some British Weeklies) up to the Empire Strikes Back adaption... I saw it when it opened so after the first couple of Empire issues I didn't need the comic anymore and spent my quarters on something else and just never started buying Star Wars again until I saw #50 (and even then I didn't buy it regularly after #50). 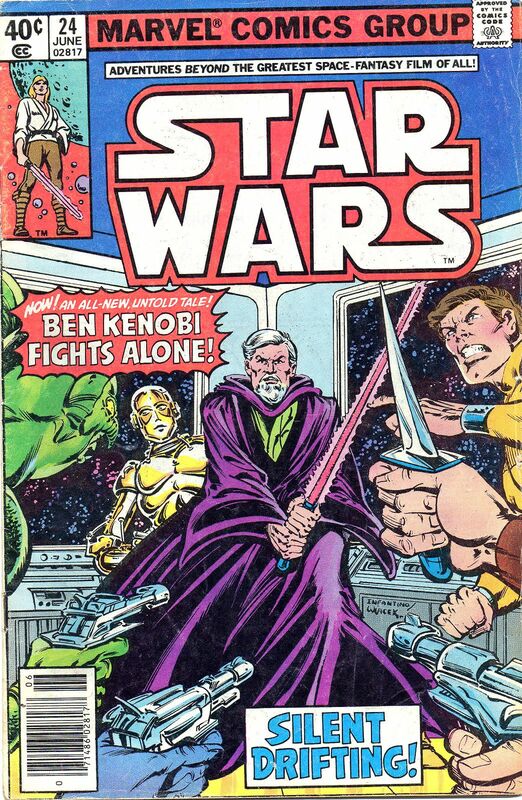 Still, this is the title that got me into buying any title regularly (or at least trying to not miss an issue, I always found Star Wars but some other titles I would miss now and then when I didn't want to). I think I bought Crazy sometimes too at around this time. I did buy Battlestar Galactica for #6-16 (I liked the Pat Broderick covers a lot on two and wished he'd done a full story, I was buying his Micronauts by then).